Decorate in style and comfort with these overstuffed euro squares. They boast beautiful sateen stripes and are 100-percent cotton. Overfilled with a lofty poly fill that offers both softness and support. This pillows are perfect size but I would make sure your shams are the same size because a 26 x 26 are a good fit but kind of snug, Pillows are exactly as described. no surprises or disappointment with description of pillows. This was a good purchase. I bought these for my master bedroom for my euro pillow shams. 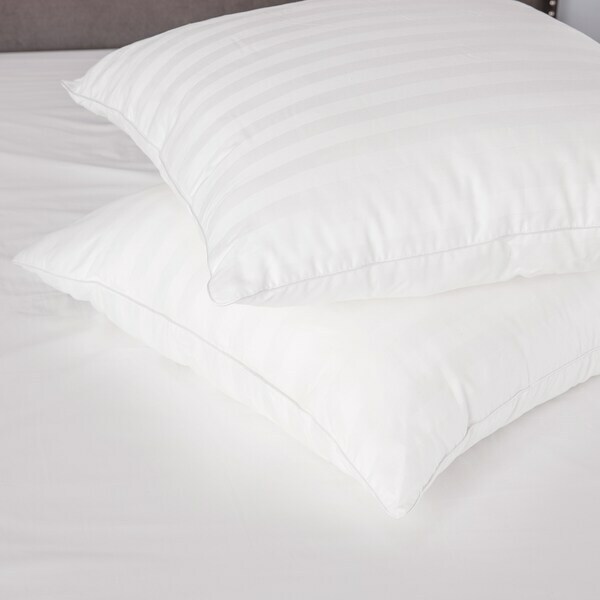 Definitely measure your shams and order one size up for the pillow to ensure you get maximum fullness. no real problems. They are not real firm, but OK.